 Founded in 1927, Sheppard Mullin Richter and Hampton LLP is one of the premier law offices in the U.S. It has a team of 550 attorneys in its offices located in Los Angeles, Palo Alto, San Diego, San Francisco, Santa Barbara and Beijing, London and Shanghai. The firm believes in staying within the reach of all in need to legal advice; clients around the world can reach out to it anytime and get unsurpassed legal guidance that can help them achieve their objectives in the best possible manner. The profound experience of Sheppard Mullin Richter and Hampton LLP has enabled it to provide legal assistance that works in the best of the interests of clients. Its team includes some of the most eminent lawyers that excel in their fields and offer result oriented legal solutions. Because of its unprecedented services it has got a number of awards and accolades. It is named among "Top 100 Law Firms for Diversity" for 2012 by Multicultural Law Magazine other than having a number of its attorneys in the list of "Washington, D.C. Super Lawyers" 2012. The Recorder has also named the office in its Leading Environmental Practices list. Antitrust and trade regulation, communications, construction and infrastructure, corporate, entertainment, media and technology, food and drug regulatory and intellectual property include some of the areas in which this office extends services to clients across the globe. The office extends legal advice to all industries including healthcare, hospitality, IT, adverting, aviation, insurance, sports and more. The width and depth of its services enable clients with diverse requirements to get superior counsel that allows them to achieve their individual objectives. Despite of offering top notch legal advice, Sheppard Mullin Richter and Hampton LLP believes in being cost effective so that people from all industries can afford it with ease. Sheppard Mullin Richter and Hampton LLP is also an active participant of pro bono works. This way it gives back to the society and makes valuable contributions to the community unconditionally on regular basis.